It was the most eagerly awaited announcement during recent times. Actor Manju Warrier, who stayed away from films for more than a decade after her marriage with Dileep, made her decision to return to the big screen recently. There have been rumours doing the rounds that everything is not well between the couple. Manju came back on the dance stage first and then she did the ad campaign for Kalyan Silks, with none other than Amitabh Bachchan. But the ad was hated by almost everyone. Meanwhile Manju has announced two films. The first one, directed by Ranjith, will have Mohanlal as her hero. The next, How Old Are You is being directed by Rosshan Andrrews with Kunchacko Boban as the male lead. The news that Kalyan is planning to launch a new ad with Aishwarya Rai has added to the disappointment. Let's see what happens next. 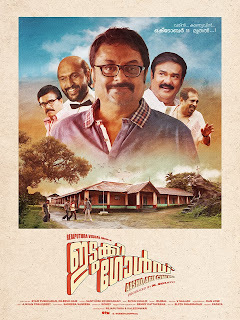 Sathyan Anthikkad's latest film, Oru Indian Pranayakadha, has Fahadh Faasil and Amala Paul in the lead. Produced by Central Pictures and scripted by Dr. Iqbal Kuttippuram, the shooting of the film is going on at Kottayam now. The film has Fahadh playing a politician, who hopes to make it big soon. His chance meeting with a Canada based documentary filmmaker changes his concepts about life. This could be a sensation, if the news is true. 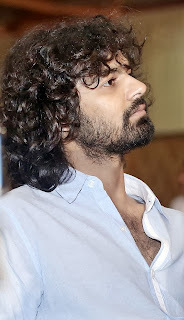 Veteran director Mani Ratnam is reportedly working on a project where he will launch none other than Pranav Mohanlal! Now, this has been one news that Malayalam movie buffs have been waiting for some time. After Mammootty's son Dulquer Salmaan rose to prominence, the next was Mohanlal's son. But the youngster never showed his interest to become an actor. 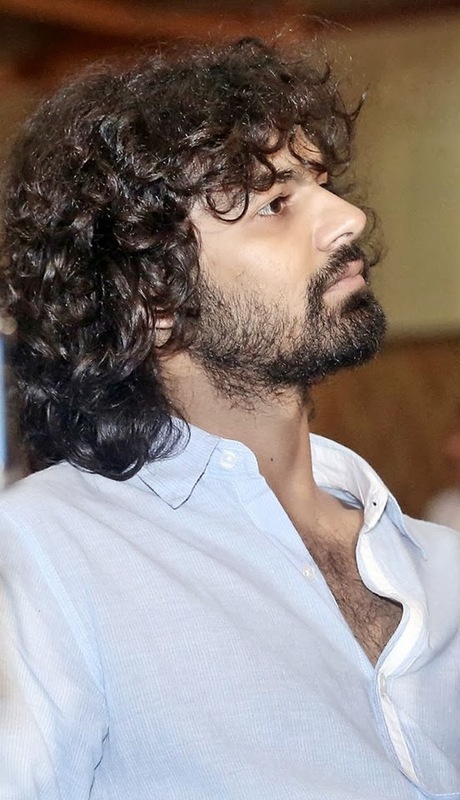 He has in fact, won the national award for his performance as a child artiste in Punarjani and he has played Mohanlal's younger version in Onnaman. Recently he was seen exchanging some stern looks with Mohanlal in a scene in the dud, Sagar Alias Jacky Reloaded. Is the news true? Well, it could be just a speculation. But it is interesting for sure. Dr. Zachariah (Lal), his wife Soosan (Asha Sharreth) and his four pregnant patients, Fathima (Rima Kallingal), Saira (Sanusha), Sr. Jasmine Jennifer (Geetha) and Anuradha (Sandra Thomas). These are the main characters in Aneesh Anwar's Zachariyayude Garbhinikal releasing on Sep 27. Produced by Vijay Babu and Sandra Thomas, the film has cinematography by Vishnu Narayan. The music has been composed by Vishnu and Sharath. Writer-director Jeethu Joseph will start the shooting of his next film titled Drishyam from early October onwards at Thodupuzha. The film has Mohanlal playing the lead and Meena playing his wife. Jeethu, who is riding high after the super show of his last release Memories, has already started working on his future projects with Prithviraj and another one with Indrajith. Drishyam is being produced under the banner of Ashirwad Cinemas. Young star Dulquer Salmaan's ABCD, directed by Martin Prakkat, celebrated its 100 days of success. The function was held at Hotel Dream in Kochi. The film's cast, including Dulquer Salmaan, Jacob Gregory, Aparna Gopinath, Sreekumar, Lalu Alex and Nandu were resent at the occasion. At the same venue, the teaser of Arun Kumar Aravind's 1 by Two was also launched. Now, no names here and this one have no confirmation as well. This is a gossip doing around in the filmi circles these days. As per rumours, the set of a recently completed film witnessed more battles than the war film actually shot for the screen. There was a certain showdown between a director and an actor on the set. And if reports are to be believed, the two heroes in the film were having lots of ego issues. Like, if one of them was wearing a blue socks, the other won't turn up if he too wasn't given a similar colour. Now, it is to be seen how the heroes will look as jawans, considering their less than attractive bodies. After the Ranjith - Mohanlal film, Manju Warrier will join Rosshan Andrrews' How Old Are You. The film is being produced by Listin Stephen's Magic Frames and has been scripted by Bobby - Sanjay. Manju had quit films after her marriage to Dileep but is making her comeback after a decade. The hero was never fine with her decision to act but it is said that the marriage is going through to a rough patch. Kunchacko Boban plays the hero in How Old Are You. It's said to be a "Joint Agenda". And for all those who are unaware of what the makers were thinking while creating the Idukki Gold trailer, it could mean getting high with weed! Anyways, director Aashiq Abu's trailer is a hit all the way. It is beautiful, funny and is unapologetically on the face. The film has Pratap Pothen, Raveendran, Vijayaraghavan and Maniyan Pillai Raju who is revisiting their school days. The film will hit the screens this October.